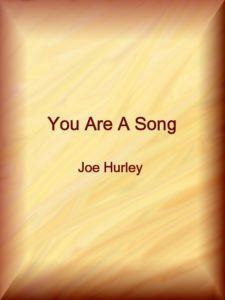 You Are A Song is a joyful and loving celebration of your wisdom, love, and light. Through uplifting prose and poetic verse, you are reminded just how precious you truly are. -To support you awakening, remembering, accepting, opening, and becoming. -To support you dancing, being present, being a divine presence, feeling the love within your whole self, and feeling your true divine essence. -To support you coming in and choosing. -To support your empowerment and freedom. -To support you knowing beyond your mind. -To support you helping your ego awaken and expand. -To support you transforming your veils. -To support you transforming your vision. -To support you opening to your heart’s truth. -To support you being your light. -To support you knowing peace. -To support you knowing love. -To support you knowing the real you. -To support you opening the door to the unknown. -To support you stepping through the door. -To support you stepping into the sea of love. -To support you being in the darkness. -To support you discovering your eternal essence. -To support you embracing your true divine light. -To help you prepare for new levels of love. -To help you accept your true self. -To help you release what is ready. -To help you accept the new. -To help you let love in. -To support you stepping beyond your past. -To support you stepping beyond your situation. -To support you facing your fear. -To support you freeing yourself from your reaction. -To help you deal with setbacks. -To help you heal what has been. -To help you honor what is. -To help you open to and receive love. -To support you choosing happiness. -To support you choosing freedom. -To help you move beyond expectation. -To help you accept unconditional bliss.